Before making your decision to buy an aquarium filter look beyond the price and consider the following. Yes there are cheaper systems on the market to produce DI quality water for your aquarium. However when you look closely at these systems you will note the following. 1/ The systems consist of small DI canisters which hold very little DI resin. Di resin expires fairly quickly particularly on high TDS water like Perth, Adelaide and Brisbane. The higher the TDS the higher the residual percentage of TDS left by the RO. The purpose of the DI filter is to polish the water to pick up any residual TDS (salts) left after the RO membrane. The higher the residual, the harder the DI works, and quicker it expires. Our system holds 350gm of nuclear grade Purolite Resin - the best in the world. Most other systems are offering less than 200 grams. 2/ Its pointless spending over $100 on a water filter for your fish if you can't take advantage of the your investment, and drink the water as well. We are constantly asked for an RO System that is suitable for drinking and aquarium water. This hasn't been possible until now. DI resin removes the mineral content back to Zero which is great for the fish but not so good for your health. When the DI removes the residual mineral which include natural pH buffers, the pH of the water plummets to below acceptable levels for drinking water. For example the pH after RO and DI can be as low 6 pH or even lower pending temperature etc. Basically this water is acidic and not suitable for prolonged use as drinking water. There has been a lot said about drinking acid water some of which you can read on our listing for the 6 stage XstreaMn Shuttle RO system or our 7 stage XstreaMn system. We have built this system to accommodate both needs; safe drinking water and or DI (mineral free) water for aquarium use. We use the highest quality components including Purolite DI nuclear grade resin, and the new and exclusive GT6- 18LS pH neutralizing cartridge for safe drinking water. Excellent RO/DI system. 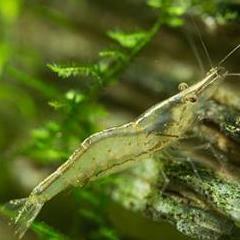 Produces 0 (zero) TDS water which is a perfect base for Softwater fish and Shrimps. Service is excellent and the Staff are friendly at FSA. Pick up a TDS meter and pH pen from the "Filtration Component" section while you are at it. These are two essential tools for any aquarist.